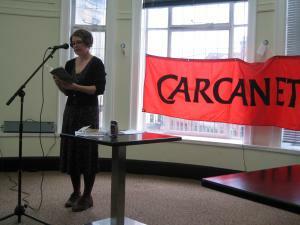 Helen Tookey was born near Leicester in 1969. 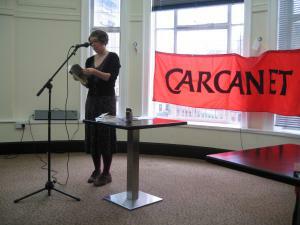 She is now based in Liverpool, where she teaches creative writing at Liverpool John Moores University. She studied philosophy and English literature at university, and has published critical work about writers including Anaïs Nin and Malcolm Lowry. Her debut collection Missel-Child (Carcanet, 2014) was shortlisted for the Seamus Heaney first collection prize. Her pamphlet In the Glasshouse was published by HappenStance Press in 2016, and the CD/booklet If You Put Out Your Hand, a collaboration with musician Sharron Kraus, came out from Wounded Wolf Press in 2016. She has recently been collaborating with composer and sound artist Martin Heslop, putting text together with electronic soundscapes.